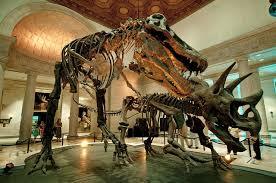 Join your Cub Scout friends for a fun overnight adventure at the Natural History Museum! Food: Scouts and parents need to eat dinner before arriving at the museum. The museum provides a light snack in the evening and a small breakfast in the morning. Program: Friday evening is pretty action packed. There are no activities on Saturday. Lights on at 7:30 am; breakfast is provided by the museum; and participants can spend the rest of the day on their own at the museum after packing their gear. Adult supervision: Each family must have an adult participant and the child:adult ratio must be no more than 4:1. Payment by Check to BSA Pack 227 or Venmo @bsapack227 no later than MAY 1, 2019. The museum has a NO REFUND policy. Once your ticket has been purchased, there are no refunds.